This week’s House of the Week is all about the view. 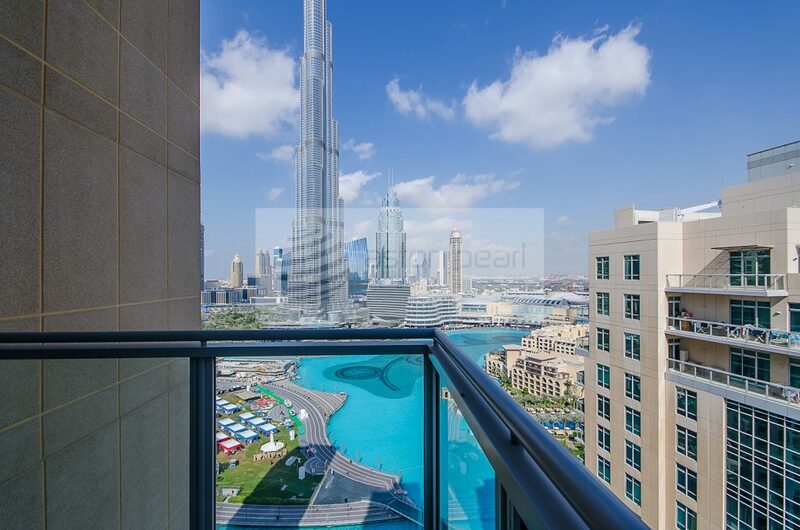 Located in the very centre of the city – Downtown Dubai, the apartment overlooks both the tallest building in the world, Burj Khalifa and the world’s largest choreographed fountain system, the Dubai Fountain. Update: the property has been sold since the publishing date of this article. 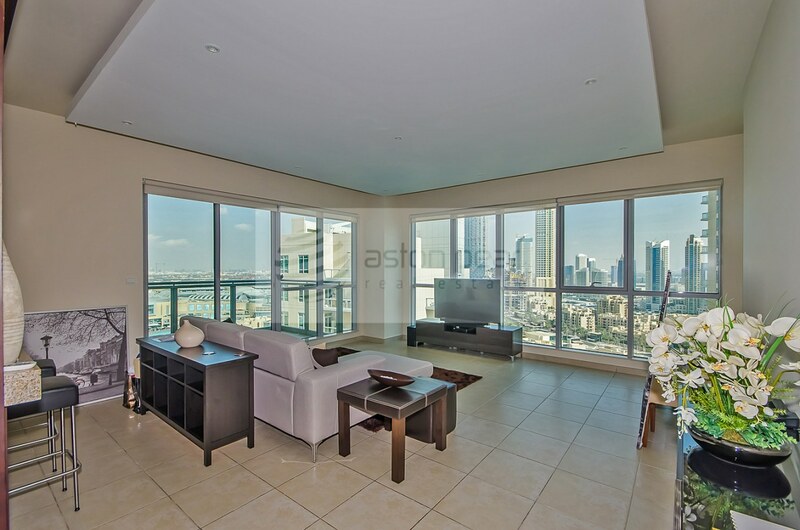 However, feel free to continue reading, or browse many similar flats for sale in Downtown Dubai. 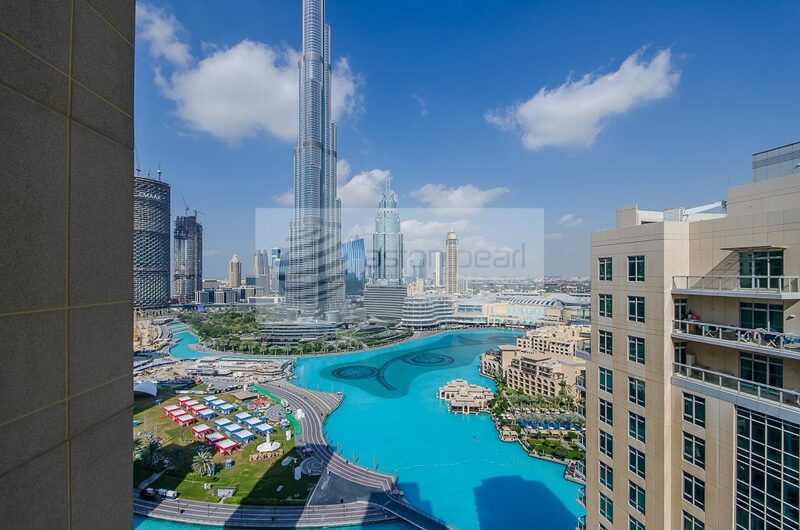 An advantage that immediately comes to mind, besides having one of the most impressive views in the world at your doorstep, is the proximity to the world’s largest shopping and entertainment mall, the Dubai Mall, as well as the stunning Souk Al Bahar. 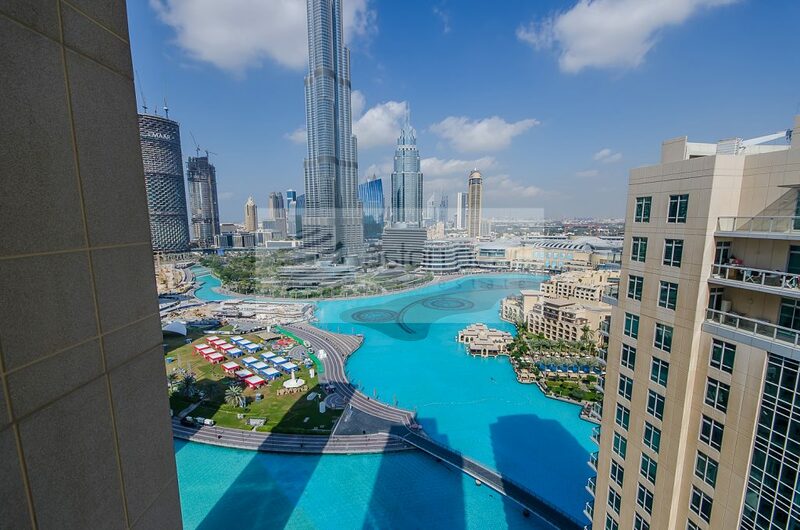 Moreover, Armani Hotel, The Address, The Palace and Manzil Downtown Dubai are also close by. If we still haven’t impressed you with this week’s House of the Week, the gorgeous Dubai Opera is also in the neighbourhood. 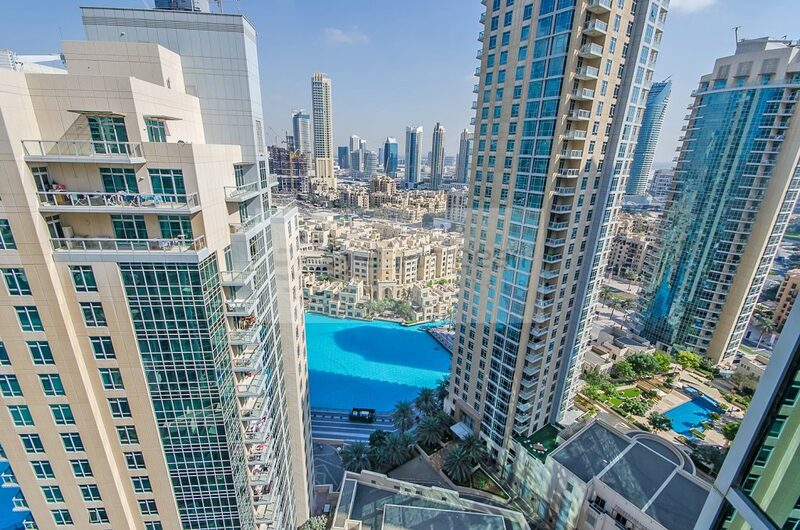 Thus, this property comes with easy access to some of the most impressive retail, entertainment and dining experiences in the Middle East. 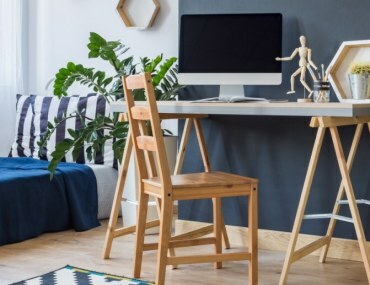 The apartment is currently a stylistically fully-rounded piece of architecture, with a minimalist approach, black and white photographs and stylish vases. 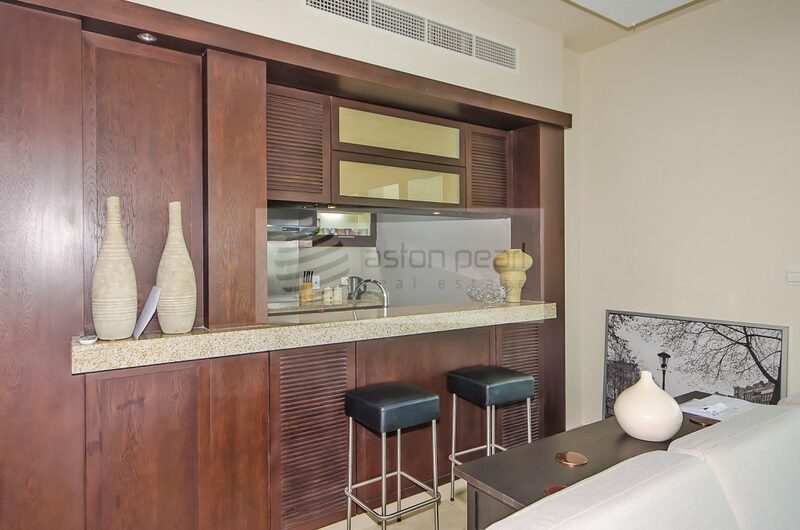 However, it is vacant on transfer and ready for your or your interior’s designer’s personal touch. The windows are double glazed. At 1430.95sqft, the 2-bed can be considered roomy and suitable for singles who like plenty of space, as well as couples. The apartment comes with a fully fitted kitchen, kitchen white goods and a built-in wardrobe. 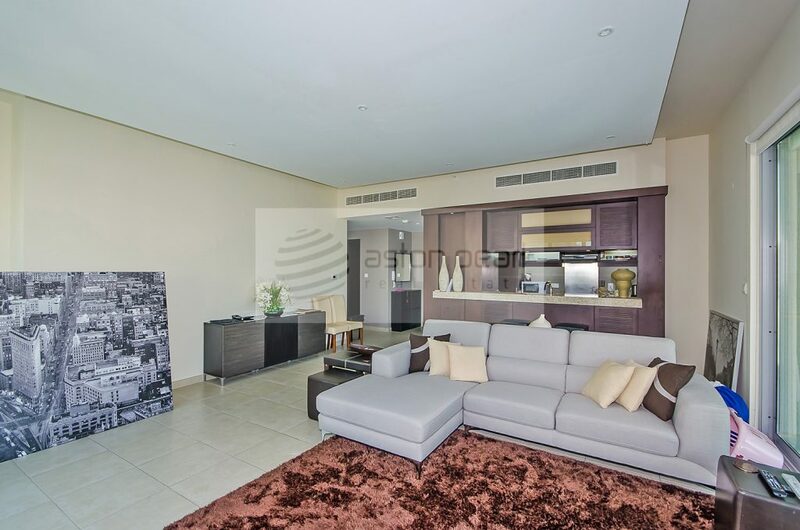 The property is broadband ready and equipped with central air-conditioning, covered parking and access to both gym and swimming. 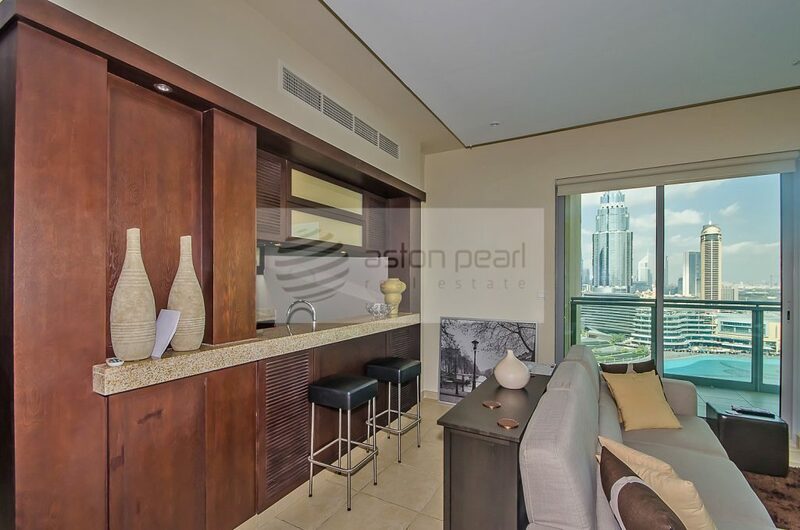 The 2-bed is listed with Aston Pearl Dubai who offer a wide range of services suited to your needs. 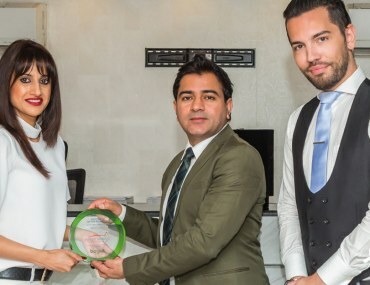 Whether you are looking to rent, lease, buy or sell a property, the friendly Aston Pearl maintain a 360-degree approach to each of their services. RERA Permit: No. 9022. 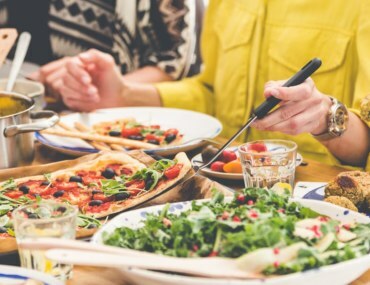 Best places with vegan food in Dubai!